Large energy utilities have been hit by a perfect storm, especially in Europe: energy producers are making losses as thermal power plants are “out-of-the-money“, while energy suppliers are trapped in low-margin commodity sales. As asset-related competitive advantages have disappeared, new downstream activities such as Demand Response and Demand Side Management represent significant opportunities for growth. REstore’s Automated Demand Response (ADR) solution allows utilities to grow new innovative downstream activities in Demand Side Management, deploying DR programmes across their C&I customers to build and monetize clean virtual power plants“built” from the demand-side. REstore’s FlexPond™ solution allows energy utilities to effectively engage with their C&I consumers on demand response. 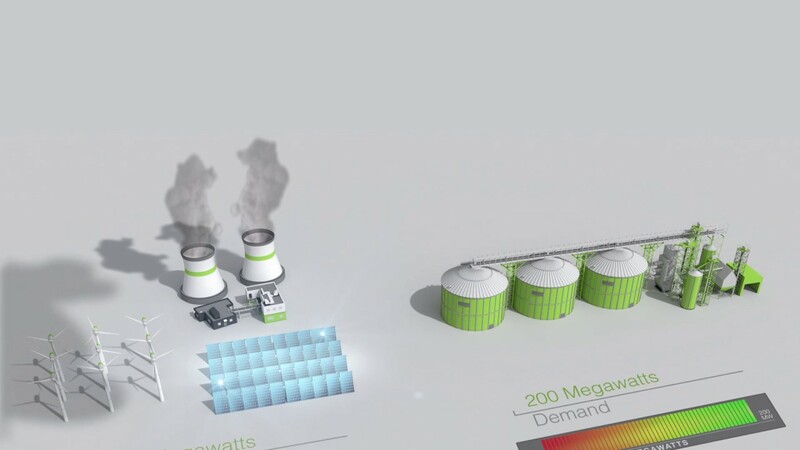 FlexPond™ creates clean Virtual Power Plants that enable utilities to balance their BRP portfolio or bid into reserve markets, ranging from capacity markets over tertiary reserve all the way up to primary reserve – where the most value resides. To help utilities tackle real-time imbalances from intermittent renewables, FlexPond™ delivers clean demand response capacity by focusing on pure demand-side resources rather than on polluting, inefficient diesel generators. During a power curtailment request, FlexPond™ enables real-time replacement of a flexible machine by another factory in the same portfolio ensuring an accurate, continuous and reliable delivery of the requested energy. FlexPond™ connects to thousands of sensors in factories and buildings over the Internet so that at any point in time utilities will know exactly the amount of flexible power they have at their disposal. FlexPond™ offers a dedicated Customer Cockpit that improves the transparency of DR programmes and the actual industrial boundary conditions. With over 1.7 GW of peak load and 700+ MW of 24/7/365 capacity under management, FlexPond™ provides you with a proven, simple and fully scalable DR solution that has demonstrated its ability to deliver profit from Demand Side Management. FlexPond™ centres its value proposition on the real needs of commercial and industrial power consumers. It is tuned to address their sensitivities around manufacturing quality, output and process control creating strong levels of trust with plant managers. FlexPond™ is a data-driven solution that creates virtual power plants in real-time, by understanding the critical boundary conditions of industrial processes and continuous monitoring of thousands of sensor data to ensure you know the amount and type of flexible power available at all times.